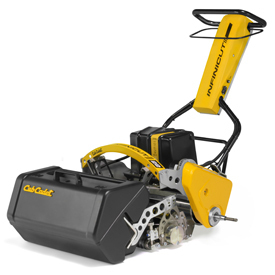 The Cub Cadet® Infinicut™ sets the standard for what playing surfaces can be. Now offering a fixed head for unmatched value and uniform quality of cut and appearance every time. The unique design and flexible set-up allows for precise operator tuning, providing height-of-cut adjustments within .10mm increments. The all-electric lithium powered drive reduces noise and vibration without sacrificing power and eliminates fuel cost and potential for fluid leaks. 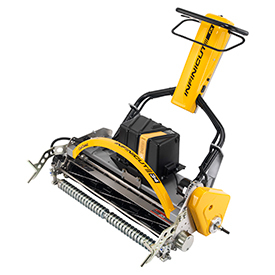 Coupled with a wide-range of TMSystem™ cassettes, usage extends well beyond simply cutting turf.